Arlington, VA. — Decision Lens, a leading provider of decision making software solutions, announced today that the Corporate Executive Board (CEB) has completed a case study on McNeil Nutritionals (a Johnson & Johnson company) and their use of Decision Lens for product and marketing prioritization. The case study is included as a best practice process in the research report from the Marketing Leadership Council at CEB entitled "Mobilizing the Enterprise for Insight Activation: Developing Shared Objectives to Drive Stakeholder Commitment to Action". 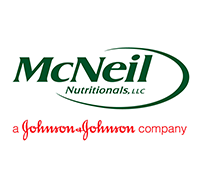 John Saaty, CEO of Decision Lens, said that "we are very excited to have McNeil Nutritionals and the innovative work that they have done with the Decision Lens platform as a featured part of the Marketing Leadership Council's forward-thinking research. The Corporate Executive Board is consistently bringing the latest thinking in best practices to corporate decision-makers, and we are proud to be part of that effort." Decision Lens Inc., headquartered in Arlington, VA, provides a family of desktop and Web-based software solutions designed to support group decision-making for planning, financial, IT and performance-related decisions. Our comprehensive solutions manage the strategic alignment of goals and priorities with investments in people, projects, products and suppliers. Billions of dollars worth of decisions were made using Decision Lens this past year. By combining advanced decision-making techniques with world-class performance visualization capabilities, Decision Lens supports dynamic decision-making based on a well-structured, rational framework with superior reporting. The Corporate Executive Board Company is a leading provider of best practices research and analysis focusing on corporate strategy, operations and general management issues. CEB provides its integrated set of services currently to more than 3,700 of the world's largest and most prestigious corporations, including over 80% of the Fortune 500. These services are provided primarily on an annual subscription basis and include best practices research studies, executive education seminars, customized research briefs and Web-based access to a library of over 275,000 corporate best practices.